Sometimes I feel like a fraud, on this blog telling people it’s possible to write with four young kids and all the other stuff that happens because sometimes it isn’t that possible or only just about by the skin of your teeth. Where was I? Actually I’m lucky today because the eight year old is at a friends but the ten year old was diagnosed with Aspergers last year and his homework usually takes ages and the six year old is a great reader and loves to read whole chapters to me. At the moment I have several projects on the go. A literary novel that needs some good scaffolding and forty thousand more words, a flash fiction project that is a third of the way there, a fun sci-fi housewife thing that I’m editing and a short story collection that could do with a shine and a polish, and a few short pieces for radio that need to be completed. All I need is time. Ha ha ha. I recently applied for time in the form of a grant which, although was a long shot, would have enabled me to spend more time at writing. Disappointingly I discovered today that my application was not successful and although I’m sure there will be other possibilities it did knock me back. Family circumstances mean that I’ve been less able to put much time towards writing lately. I’ve worked hard in the past couple of years, eking out time in the mornings, doing two novel writing months to produce 50000 words each time. And while it’s lovely to see the Spring settle in, mother’s know that the summer means that kids are need entertaining and looking after for longer. Here comes the pep talk bit. The truth is somewhere in the middle a friend said. While it is true that I may have finished more books by now if I had more time, I may have applied for an agent, even been successful if I had the chance to put in a killer query, would I really have been happier. Yes. What I want to tell myself and you that we need to look back at now and see.. Traditional publication is slow, it didn’t matter that I took some extra time to get things right. I’ve made better decisions about my writing than I would have back then. With success becomes responsibility and that can be a headache too. I certainly don’t believe ‘there is a reason for everything’ – I think the world is a rather chaotic, chancy but sometimes serendipitous thing, the grass is always a little bit green where you are already and a little bit worn and patchy on the other side. However this pep talk I’m giving, (and it’s really to myself) should make me think about what advantages I have now; artistic freedom, freedom from deadlines and marketing circuits, all my children close at hand, the cheerleading of my lovely real world and online friends, some solid successes in the short story world. I also need to realise that opportunity and success can also have their own drawbacks. The truth is somewhere in the middle. So once the disappointment fades let’s see where the truth about our writing lies and proceed on. Writing: Time for a break? So we’re not aspiring writers, we’re writers, so we write whenever we can. If we have a full time job we get up early or write into the night. If we stay at home with children we write when they are napping or happily occupied or in preschool or gone to bed. If we go out to work and have children we write from under a six foot pile of laundry with the dust bunnies for company, and sometimes we’re so tired we don’t know if anything is making sense. Then life happens, other stuff, financial worries, work commitments, sick or anxious children, ailing relatives, a death or a report of one, something close to the bone or joyous events that need our time and attention. These things affect both men and women but I think women try to hold everything in their heads all at once and may find it harder to switch between roles. Sometimes there are just too many directions. Is this why there are more major male novelists? It’s a controversial thing to ask and I don’t want to ruffle any feathers. Are novels just too big a thing to keep in your head alongside all the micromanagement of life that women do? Does it take longer for women to reach the 10,000 hours of practise it takes to become an expert? Do women on average ultimately write less novels or have less ‘head space’ in which to incubate their novels. Are there times, in particular for juggling women, but for all writers when you need to stop writing? Are there times when you are going through the motions and producing word count but your work lacks direction, depth, layering, association, all the things that can make a good novel or story great? Are there times when you need to just live, or just live and keep your mind open as the writing circulates in your subconscious? Writing, do we need a break from each other sometimes? From the treadmill word count achievement, from the blogs and the flash fiction and the competitions and the myriad online publication options. Do we need to just sit somewhere, stare at the sun on the grass or into the fire to the bright flicker of flame and the roaring red core or just visit our relations, talk to our children, catch up on our day job, organise the laundry, have tea, go to bed early, read? I read a wonderful post lately from Jennifer New on Studio Mothers, who tells us that the ideas we have in the thick of life and cannot follow up just then are not really lost, they feed into other things or we find ideas later that are just as good as the earlier ones. In my mother writer series I will be talking to author Jane Rusbridge. In her interview next Sunday she will be telling us about the long process over several years of writing her acclaimed novel Devil’s Music in tandem with her busy life situation. 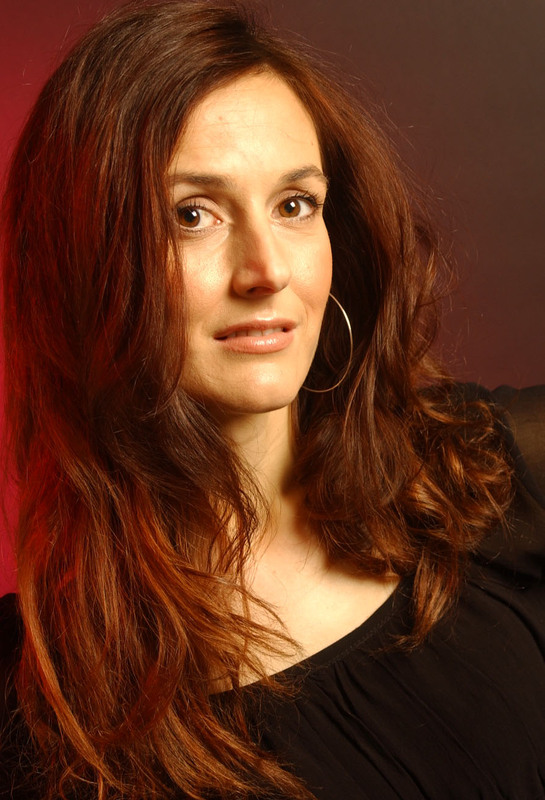 And prolific author Nicola Morgan has explored whether we can still write during difficult and challenging times in our lives. Indeed we all read of people who’s writing keeps them going through hard times. We all take solace from expression or from losing ourselves in something we love but is there a time to pause? What do you think? Are there occasions when our life needs our absolute focus or when we need to step back and stop producing so that our writing ideas catch up with us? When we need to rid ourselves of the opposing clamour from the many requirements of our lives? Or do you just keep doggedly on, putting down even a few words every day. Have any of you taken an extended break and how did it affect your writing work, for the better or worse? If you take a long break will you lose momentum or gain perspective? My feeling is that there is a time for pause. So often it is the down times when I only have a pen and a notebook and no plans that my best stories unfurl. So we may take a break, we may go off for a while and live our lives but the writing will always find us. In which I muse aloud and you get to listen in. Although it varies by a week or two across the Northern Hemisphere for many parents, children round about now are returning to school and the more rigid routines of school days, homework and earlier bedtimes will come into play. As parents we need to be more organised and lovingly firm with our kids as we ease them through the change. Whether you are a going out to work writing parent or a stay at home one or a bit of both, it’s a good time to think about your own schedule, your priorities in terms of projects that you have to complete, client commitments and projects that capture your heart and that you want to spend time on. An important question to ask is ‘what is actually possible?’ We can take steps to create writing time by getting up early or staying up late, by being good at using small pockets of time between chores or on commute but believe it or not, writing isn’t everything. Our resolutions need to take account of the current demands of our lives timewise, physically, emotionally, mentally. At different phases these demands will fluctuate. All out commitment to the cause of writing without consideration of your current situation cannot be a good thing. As children settle into school they may require more of our empathy and listening time, will benefit and feel less anxious by us just being around, taking a walk with them, creating space for communication. Later on in the year these demands may change. But if we get a chance to write, we want it to be as fruitful as possible. I often struggle to feel satisfied with my achievements because I have several tasks and projects on the go and have not identified which need to come higher on the list. At the end of the session, which is never very long, I have achieved not much of anything as I flit from document to document, to my email, to Google etc. A simple thing, but sometimes I’m not really clear what I’m working on. Just writing that down and having a schedule will make a lot of difference. So what resolutions might be good ones for the new school and writing year? 3: Think each day about your current demands/desires emotionally, mentally, physiologically, socially, for family etc and decide what is most important, what is possible and necessary. 5: Think about, interact with and support others, friends, extended family members, other writers, create a strong and positive network. Goodwill and good effort for the most part come back. Writing and life energy can be created by taking care of our time, ourselves, each other. Last night the baby woke again. His Dad, who deserves a shelf of parenting accolades, got up yet again. But if I don’t keep my eyes absolutely shut and resist the urge to turn over I start to wake up and if its almost midsummer and the bloody birds, bless them, think that the faint light of three forty five means its morning and they are going to sing their hearts out telling me that, then the wires connect and there you go, the brain’s awake and spinning. Hubby comes back to bed and to the sound of his gentle snoring, I think of a fabulous (ideas are either horrifying or fabulous at that time of the morning) idea for a new website for creative parents. I think of several new ideas for blogging and find two lines of a short story I am writing sitting on the kitchen table of my mind with a mug of coffee beside them. I compose a e-letter to a friend and work out the logistics of pick ups and drop offs and the events of the forthcoming day. How productive am I. It is 4am on a Monday morning of a very busy week. The kids are all asleep, I am alone in my head for once and so I find there is plenty of space there after all. You arrive at the supermarket and bump into an old friend. What does she look like now? What was your relationship with her? How do you feel when you see her? How do you want to present yourself to her. Is there something in particular you really don’t want her to know? She invites you and your husband to dinner. Do you go? If so, what happens. What happens if your secret slips out in conversation, are there consequences? Write up to 500 words just to see where it takes you. Hello. Today you can just see the top of my head over the waves. Recently I edited a newsletter for parents on Mindfulness and Wellbeing. We wanted to explore how parents in the maelstrom (or sea, to keep to the blog’s theme) of raising children could possibly find the space in time or within themselves to re-energise and take stock of their circumstances. As a writer (I was going to say would-be writer, but here I am) and mother of four young children, aged between 8 and 18 months I want to share with you whether or not it is possible to get your ‘Head above Water’ and find that moment of what Buddist’s call concentrated awareness, the now that has depth, slows time and gives it greater quality. My baby gives his absolute attention to the texture of a pebbledash wall. I feed off his fascination. As a writer I need to pay attention, to notice. As a full time mother I am prey to the constant demands of requests and chores, the hands on care of small bodies and the fuelling of expansive minds. I cannot find a quiet place in my head or imagination. Friends in the parent support group (Cuidiu) in the early days of total immersion caring for a newborn alongside their other young children have experienced it as a kind of drowning. 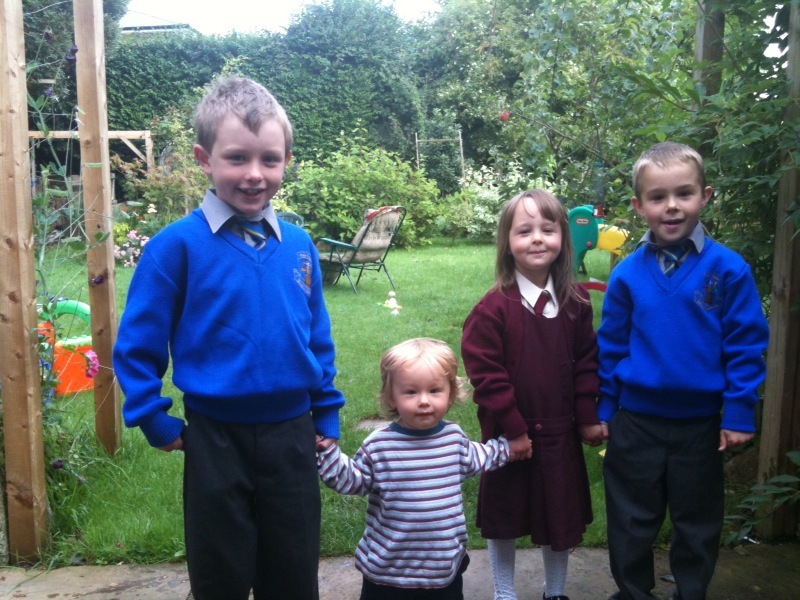 Today all four children were at home on their school holidays. Two had very bad colds, the four year old in particular was constantly in crises and tears from sheer exhaustion. The two older boys were in a hyperactive frenzy usually directed towards each other. While I checked my email this morning I distracted the baby with my paper clip container, while writing this tonight I have been treated to the sound of my eight year old whistling and have answered several calls for assistance. Is there still an identifiable train to my thoughts? You decide. There are many reasons these days why people’s head are ‘wrecked’. It’s the fashion to be on the go, to be getting somewhere. To squeeze the last out of the analogy, sometimes we are wasting our energy swimming against the tide. (Groan, okay, I’ll be more inventive next time). In this blog I’ll be looking at how we can get our heads above water and maybe even spend sometime sunning ourselves on a some well-placed rock in a more gently flowing river. And then I might even talk about writing as well.